Wrought iron fences are a staple in New Orleans architecture. 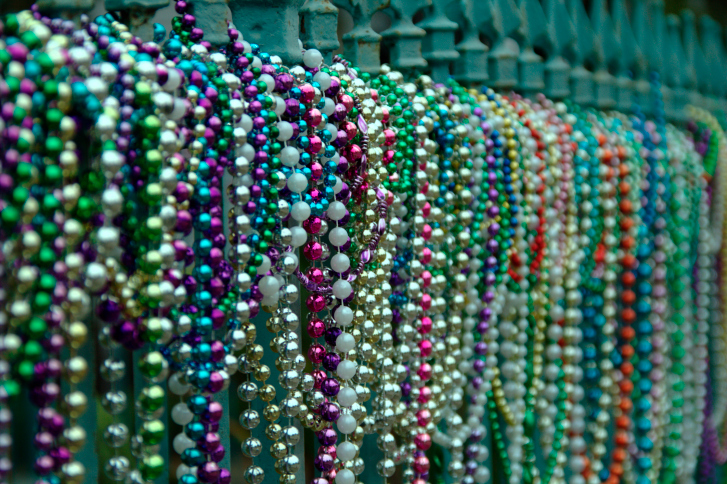 Although this week, it doesn’t matter what your fence in NOLA is made of – it is probably covered in beads. In case you didn’t already know, today is Fat Tuesday! 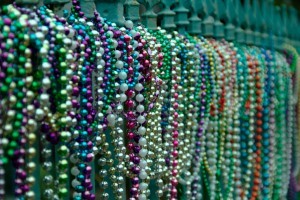 In other words, today is the official kick off to Mardi Gras week down in New Orleans, Louisiana. The Mardi Gras tradition in New Orleans has gained popularity worldwide – known for its famous parades, Jazz music, king cakes, colorful masks, costumes and – you guessed it, beads. But did you know that New Orleans is also home to some seriously famous fences? Let Mid-Atlantic Deck and Fence enlighten you. The French Quarter is the oldest neighborhood in New Orleans, and a good portion of the city’s outdoor music and arts scene is concentrated here. Jackson Square is a historic park located in the heart of The French Quarter that is surrounded by a signature wrought iron fence. In fact, most notable fences in New Orleans are wrought iron. Ironwork is an iconic staple in New Orleans architecture. The fence protects the St. Louis Cathedral, which overlooks Jackson Square. However, it isn’t just used for protection and aesthetic appeal. The fence sometimes serves as a backboard to several local permitted artists, allowing them to hang and showcase their work for sale to passersby on the street. It makes for a seriously beautiful scene! The Cornstalk Hotel is located in a Victorian house on Royal Street in New Orleans. The hotel’s name is inspired by its famous and extremely intricate wrought iron cornstalk fence. For visuals, it is exactly what it sounds like – an iron fence shaped and formed to look like a row of cornstalks. The original owner of the property had the fence built in 1840, in hopes that it would ease his wife’s homesickness for her home state of Iowa. Fun fact: Elvis Presley used to stay at The Cornstalk Hotel.